Vintage jackets not only looks classy but add grace in personality. We are back with the stylish vintage jacket. 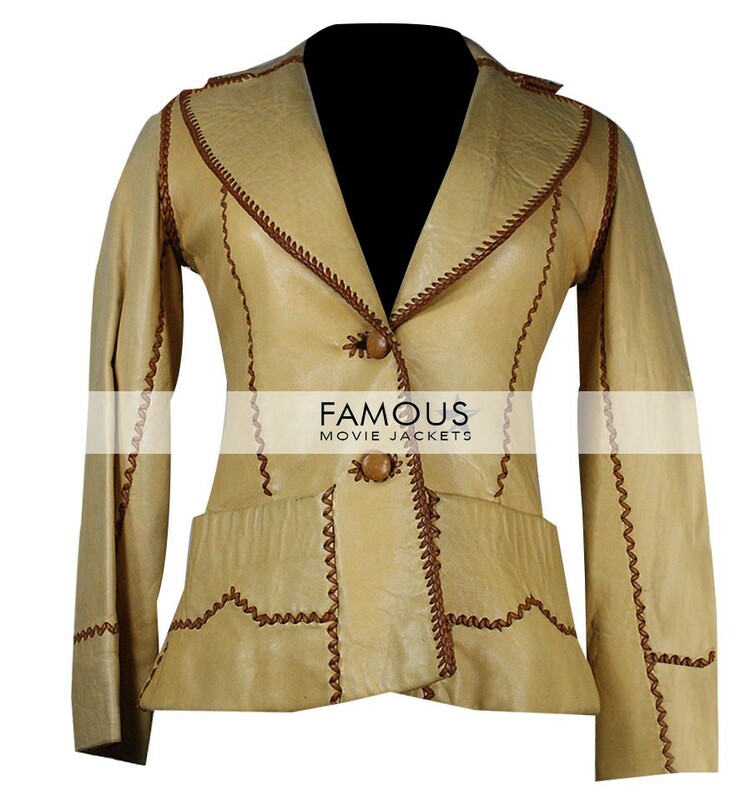 This beige leather blazer will surely add a charm in your presence and will give you a celeb look as it is crafted in same manner as you can see you in the image. It is made of 100% pure leather with viscose inner lining. It comes up in amazing features such as turn down collar, front buttons closure and full sleeves with open hem cuffs. The outfit is stylish enough as it has unique color combination. Shop this fashion wear and shine bright like a star.